The location is up a small hill so the view is fantastic from every balcony. You need a car to get anywhere, but it wasn't a problem for us. The room had all the necessary things and someone came to clean it every day. The owners are very kind and helped us with what we needed. Best choice in Poros if you want a quite, relaxing time with a seaview! Thank you, Filoxenia, for making pur Holiday great. The sea view from the balcony , the location is amazing , you can hear the sound of the weaves from the appartament, there’s many taverns with great food quite close by. 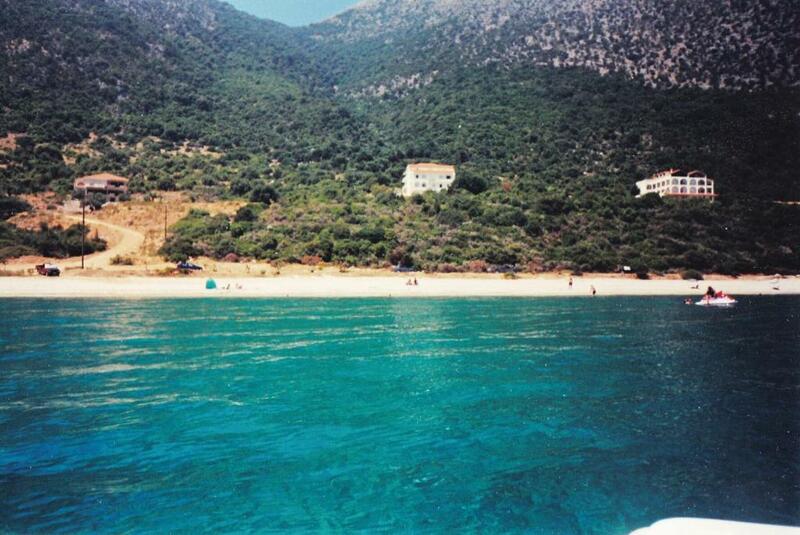 You can walk to the nearest beach which is very clean , with pebbles and not busy at all. The cleanliness and the staff - amazing . The owners are very chatty and lovely and their son speaks English fluently. The apartment was being cleaned by a lovely lady every day, and the towels and beddings of a very good quality. The room was spotless and in am excellent location, in a quiet corner of the town. Bedroom was huge, with balcony and kichtenette. Dimitris took great care of me and I am grateful that he took the time to talk to me and help me to continue my Greek travels. I will certainly come back if in the area. The hotel was very clean and the owners of the hotel were very friendly . When we left the hotel the owner gave us a flower and wished us good luck . Очень чисто, хозяева поддерживают чистоту, уборка каждый день. В номере есть все необходимое для самостоятельного приготовления пищи. Тихое, спокойное место для отдыха семейных пар. Отличный галечный пляж, Практически нет народа. Мы объехали весь остров и этот пляж один из лучших, несмотря на то, что он галечный. Лучше многих песчаных пляжей, вода очень чистая. Но нужно иметь тапочки для купания. Место очень удобно для путешествующих на машине. В Поросе цены на продукты ниже, чем в других городках острова. В городе есть хорошие супермаркеты, магазин фруктов, кондитерский магазин и магазин местных мясных и молочных продуктов. В магазины надо ездить на машине. Posizione tranquilla e defilata rispetto al centro. 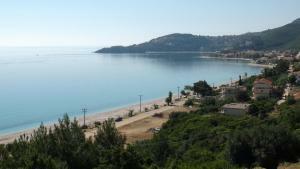 Dall'appartamento avevamo una splendida vista sulla baia di Poros. Pulizia giornaliera e cambio delle lenzuola ogni 2/3 giorni. Personale gentilissimo e molto cordiale. Consigliata l'auto per visitare tutta l'isola. Il silenzio,la vista sul mare,la pulizia,l aria condizionata,lo spazio. 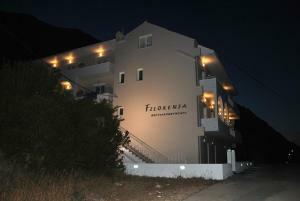 Lock in a great price for Filoxenia Hotel & Apartments – rated 8.8 by recent guests! Filoxenia Hotel & Apartments This rating is a reflection of how the property compares to the industry standard when it comes to price, facilities and services available. It's based on a self-evaluation by the property. Use this rating to help choose your stay! Surrounded by lush greenery, the family-run Filoxenia Hotel & Apartments is located on a hill facing the scenic fishing port of Poros in Kefalonia. The beach is just 250 feet from the hotel. With free Wi-Fi throughout, the Filoxenia offers spacious, self-catered apartments with open sea views. Each has a small kitchen with 2-ring cooker and fridge. This quaint town of Poros is known for its natural beauty, and waterfront cafes, bars and restaurants. Free public parking is available around the property. When would you like to stay at Filoxenia Hotel & Apartments? 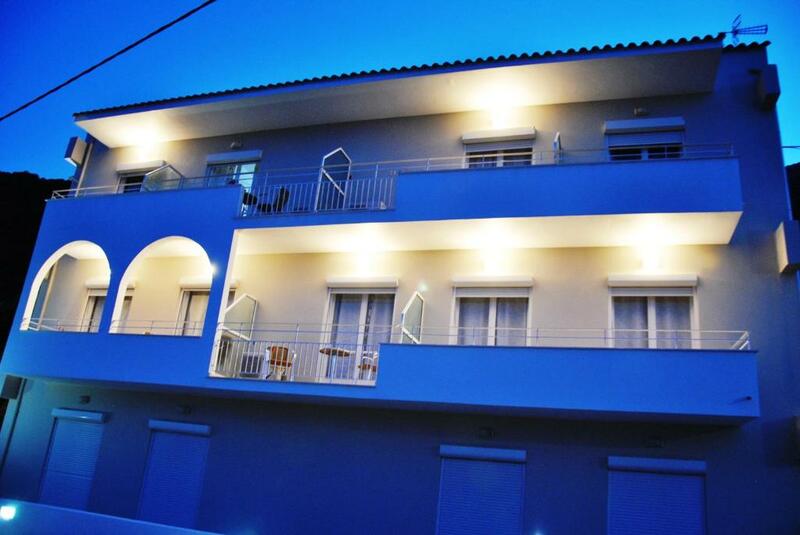 Just 230 feet from the beach, this air-conditioned apartment has a balcony overlooking the Ionian Sea. It features free Wi-Fi, as well as a kitchenette with a mini fridge and 2 cooking rings. This studio has a seating area, sofa and balcony. 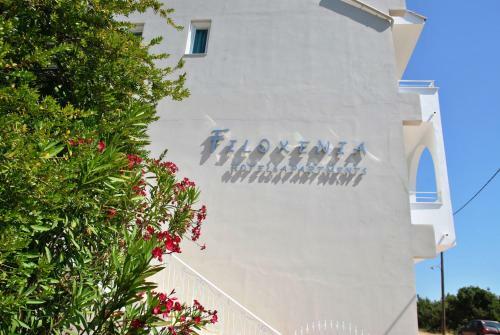 House Rules Filoxenia Hotel & Apartments takes special requests – add in the next step! Filoxenia Hotel &amp; Apartments accepts these cards and reserves the right to temporarily hold an amount prior to arrival. Filoxenia Hotel & Apartments accepts these cards and reserves the right to temporarily hold an amount prior to arrival. Not much I didn’t like, shower head could have been better. Loved the view from the balcony! Maybe an insect net at the balcony. There are a lot of wasps. The hotel did not have a communal place or anything to entertain the adults and/or kids, in the kitchen the hob ( electric) was attached to the sink and there only were very limited no of cutlery and glasses( one for each). The WiFi didn’t work, during 10 days stay I only managed to see my emails a couple of times, the tv they advertised had no signal and it was extremely small and old. Some furniture is a little old. 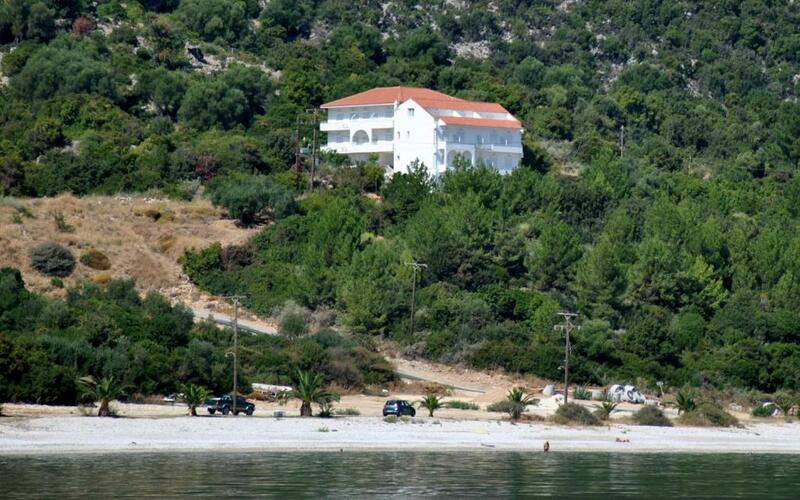 Very clean, very close to the port in Poros. Clean room with a great view. Friendly owners. 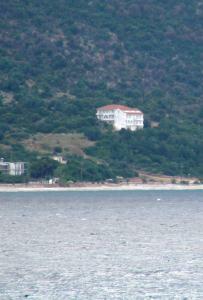 Little too far away from the village of Poros. Car is needed.